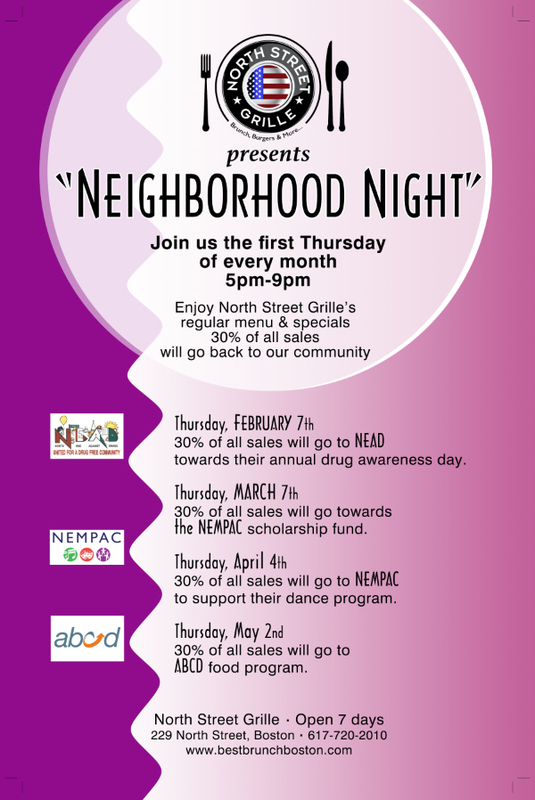 North Street Grille recently started hosting “Neighborhood Nights” on the first Thursday of each month, with 30% of sales going back to the community through a local non-profit. New spring events have been added that will benefit the North End Music & Performing Arts Center and ABCD. See the schedule below.